Is your web hosting business growing? Great! Are you finding yourself in a crunch in providing true 24x7x365 support service for your clients? HostechSupport can help! We offer transparent support services to web hosting businesses and providers. We have been in the web hosting business for years and we have mastered the art of keeping hosting clients happy. We know what it means to be an outsourcing partner that is why we bring only experienced teams to provide 24×7 support to your clients. Our expert management team partners with you to share ideas on how to expand your hosting business. HostechSupport provides Quality Technical Support to Hosting companies and ISPs around the world. At HostechSupport, your customers get 24 hour Support from qualified and experienced staff. 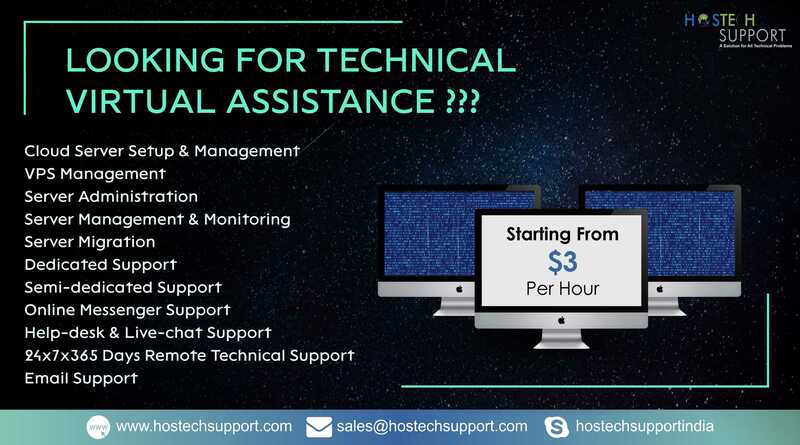 HostechSupport is an outsourced technical support and customer service company with a full fledged support center in India. This enables our clients to obtain cost-effective 24/7 support services for their customers. Our techs are extensively trained in the technical aspects of managing a hosting company and in providing outstanding customer service. We invite you to give our support services a try and see how we can help relieve the burden of managing a hosting company.